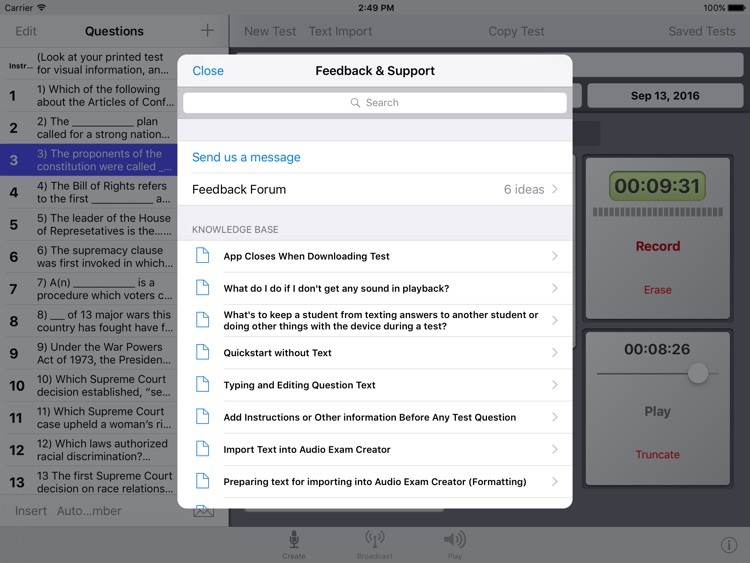 Audio Exam Creator is a quick and easy way to record test questions for students with print disabilities who need read-aloud testing accommodations. 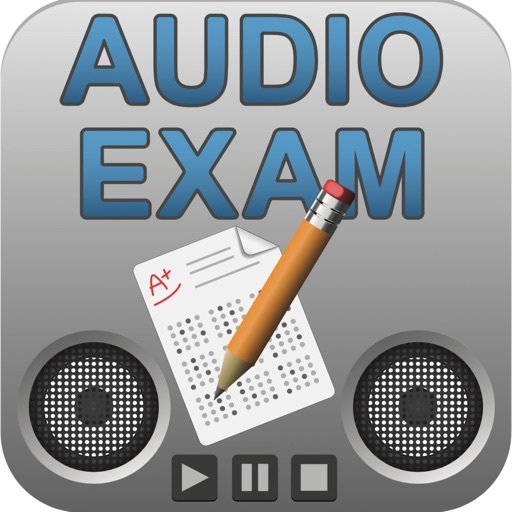 Audio Exam Player (at this time, a free download) gives students a superior way of independently hearing those test questions read aloud with human speech or mechanical speech. Students who had, in the past, refused read aloud testing are eager to take their exams using this app. 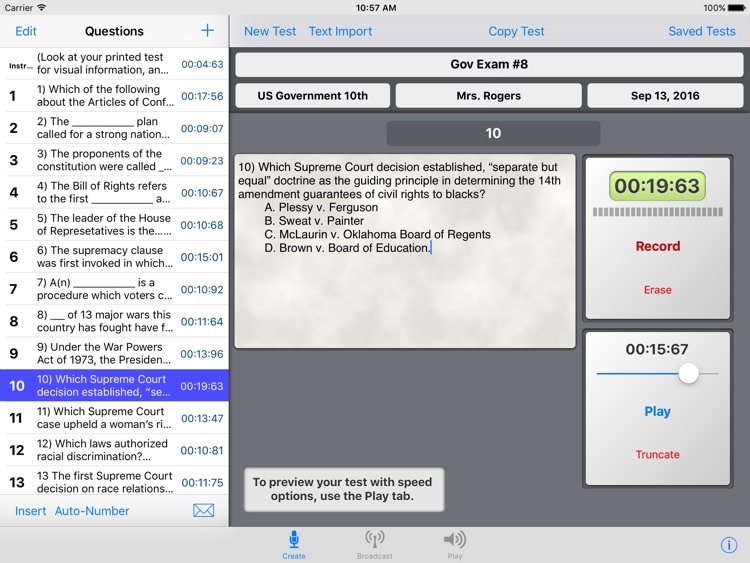 This timesaver app for teachers improves test performance for students who take tests on their own, with peers in their classroom. No more frustration for students who’s inability to sound out words and who’s slow reading causes low test scores. Record a 20 question quiz in 7 to 9 minutes instead of spending 20 to 40+ minutes interacting with students to complete the reading and rereading of questions directly. 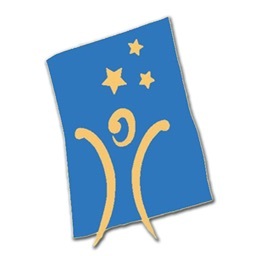 Assign test preparation remotely to anyone who has a Wi-Fi connection, assistants, student volunteers. Approved parent volunteers could do this task from their home. One person can start creating the exam, email it to another person who finishes it and emails it back or broadcasts it using the Cloud. Eliminate the time and energy required to get students together with a reader because the reader will broadcast the exam and the students will download the exam at their desks. Save exams to rebroadcast. 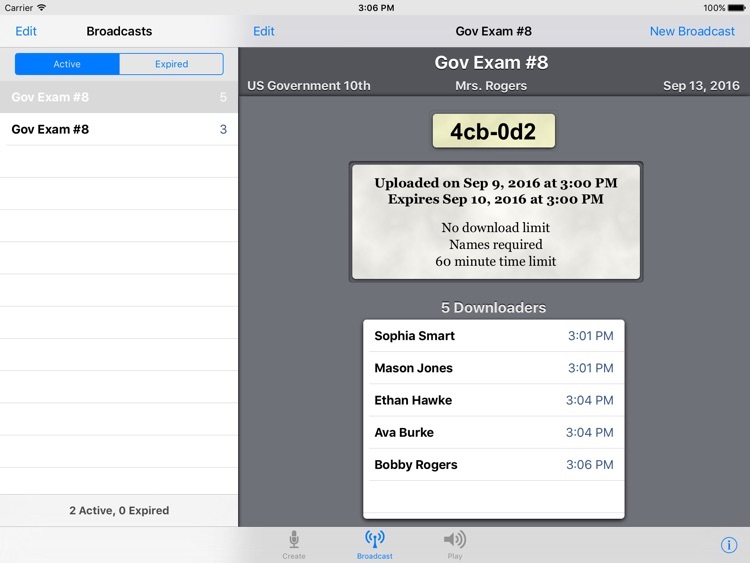 Send an exam using Apple's Mail letting other teachers rebroadcast the exam or modify the exam before broadcasting. 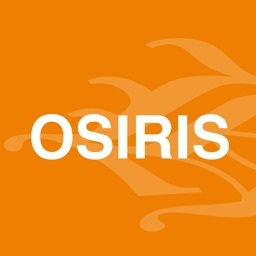 The app is intuitive and simple to use. In 5 to 10 minutes teachers figure out how it works, create their first audio exam, and play it on the built-in player. 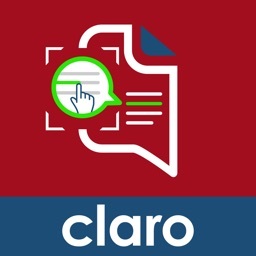 Features are easily recognized or discovered, review recordings at high speed, re-record questions, type, and edit test questions with the keyboard, import test questions text using cut and paste or file import, archive exams on a computer or anywhere you can send an email, etc. Without thinking about sounding out words, students concentrate all their attention on how they will answer the questions. They make better use of their time without the distractions and difficulties caused by a teacher reading to them directly. Students manage their time, solve problems without looking for help from a reader, develop their confidence, and complete tests on their own. They speed up the playback, skip questions, reread questions, and play questions at will. Students volunteer to take exams on a tablet, phone, or computer. They don't feel singled out, and they complete exams in the same length of time as their peers. 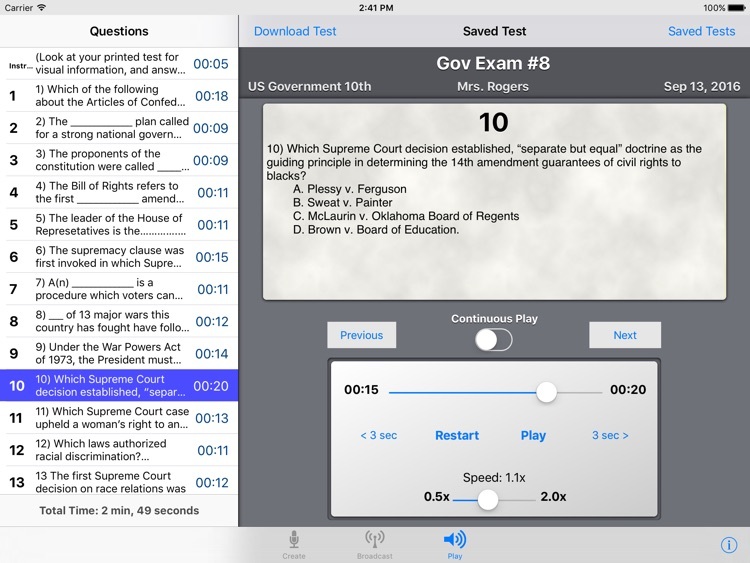 Students start using this app with easy to understand human speech, and before they are required to use mechanical speech for standardized testing, they transition to mechanical speech within the app using Apple's built-in screen reader VoiceOver. Exams which are broadcast are password protected on a secure network. Students can be given a length of time for completing an exam. Exams can be set to expire at a specific day and time. Teachers can require students to log in when they download an exam, so the teacher will receive a report of that student's download. 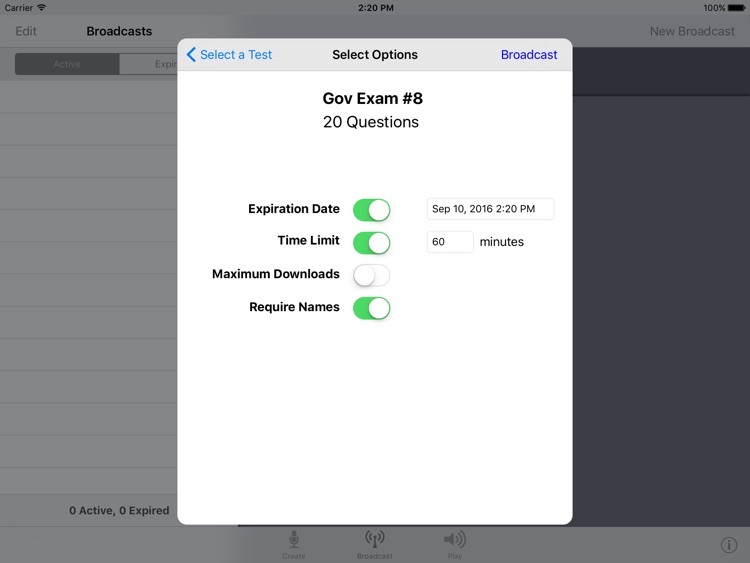 Use the iOS feature Guided Access to lock students into the app until they have finished their test.